Whats the favorite sport of the Berliners? Its PingPong or in Berlin we call it “Tischtennis”. You find people, playing PingPong everywhere. 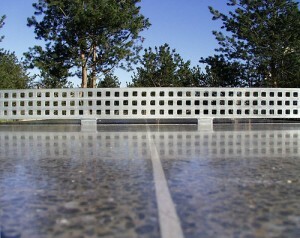 Mostly every Park have minimum 2 PingPong tables. And its quite difficult to find a free one. In the summertime you see them playing everywhere. It doesn’t matter how old you are, you are always welcome to join for a game. But keep in mind… these guys are profis. Especially the old harmless looking grandpa’s 🙂 But PingPong is not only something what you can do outside in the park, even in some Berlin Clubs it is possible to play PingPong. At the Rosis Club every weekend 20 – 40 drunken people running around the table and playing “chinesisch” it’s the crazyest thing you ever can do. They have PingPong bat’s for rent. Also you should check out Dr.Pong, a PingPong Lounge where you can have a cold beer, listen to nice Dj Music and watch others play PingPong. 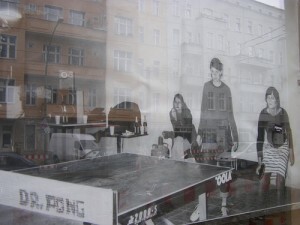 The next PingPong table is on Traveplatz, just 2 minutes from the U inn Berlin Hostel. So if you come to Berlin don’t forget your PingPong bat. This entry was posted in Berlin Guide, Hipster and tagged club, Park, Ping Pong, Tischtennis, Whats up in Berlin by U inn Berlin Hostel. Bookmark the permalink.